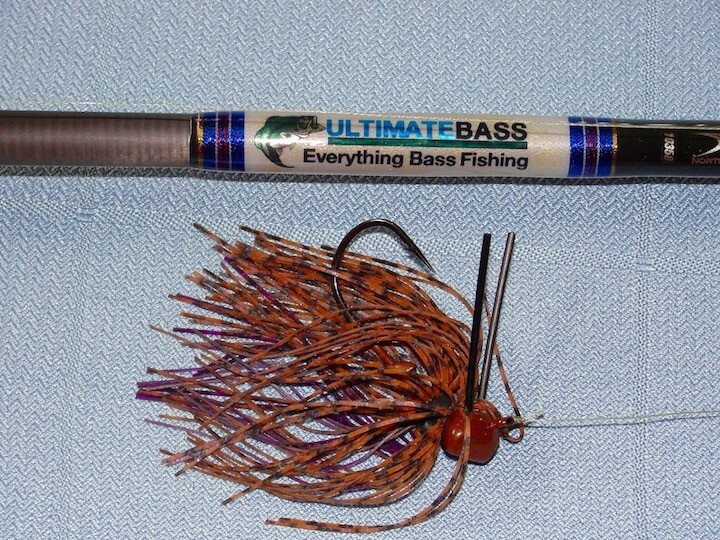 Not many things better than a Lee Smith Custom Rod and a NuTech Jig. Ya just can't go wrong. That is a nice set up now take it to the river where you might find some Bass cause we know there are nothing but skunks in your yard. Wow, some great colors there too. What an awesome setup. I'm with Lip, get it on the river and let's see a bass on the end of it.